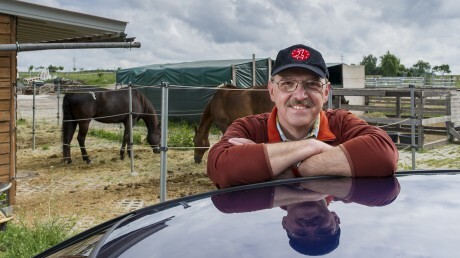 High-endurance Opel: Kai-Uwe Wehrheim has been driving an Opel for decades. 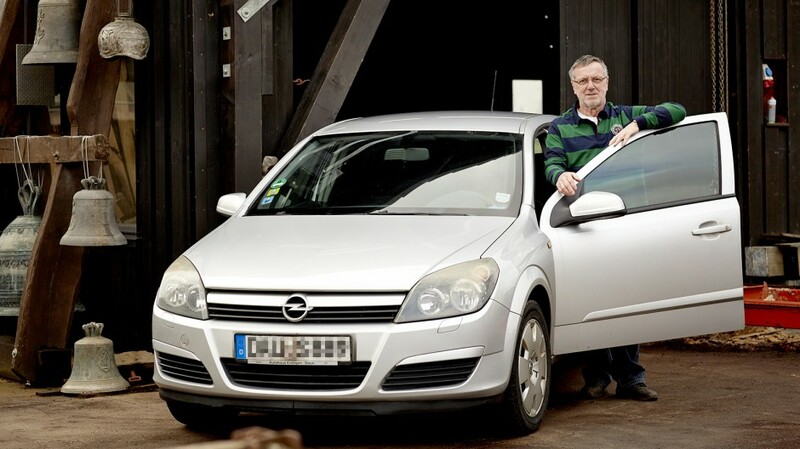 His current trophy model is the Vectra C.
The Opel long-distance champions at a glance: Click through the gallery to find out more about our previous long-distance champions. We will present the new hall of fame gallery, Mr. Wehrheim and his Vectra, in the main article below. THE MILLIONAIRE AND HIS ASTRA: Helmut Diesner has crossed the million mark with his Astra F - and created a small media spectacle in the Bavarian town of Kemnath. He bought the endurance racer from Opel Memmel in Kemnath. 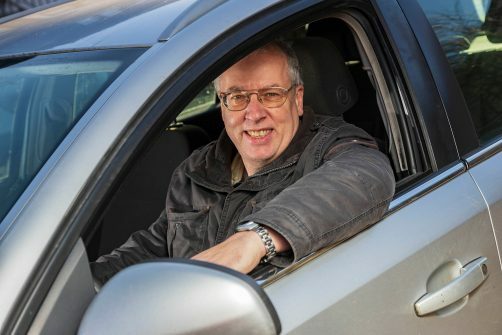 He himself is a representative for house gas systems, he's always on the go, 60,000 kilometres a year he unwinds, always with the Astra, with whomever else, after all, the car never let him down. Since then, he has only had to change wearing parts, at 700,000 kilometers a new clutch was sometimes due, but the diesel "still runs like a one". 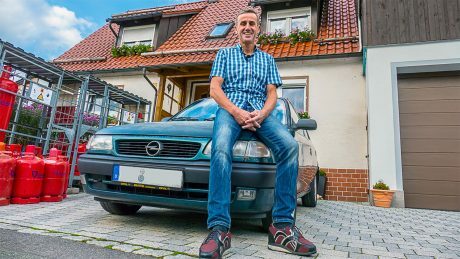 THE CULTURE WORKER AND HIS ASTRA CARAVAN: Uncle Jürgen started his nephew out on the right track when he presented him with his old Opel Astra 1.6 Caravan – “This car has been all over Europe. It has culture. So take good care of it.” Marcel Gustke truly took those words to heart. 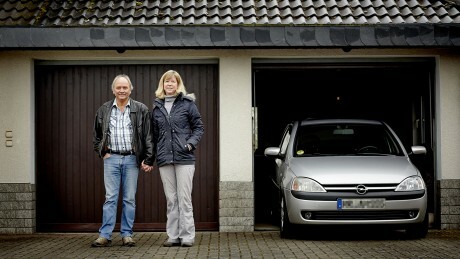 Since then, he has driven the 16-year-old vehicle all over the region for Freigeist, an art association based in Mainz. He transports paint, tools, paintings, and sculptures while his workhorse eats up the kilometers one at a time. The odometer reads over a million kilometers. Well, actually, it doesn’t exactly – the odometer only goes up to 999,999, so it is currently clocking in at about 60,000 kilometers. Our current king of kilometers is proof that mid-range Opels make great traveling companions. Kai-Uwe Wehrheim has driven over half a million kilometers in his Vectra C.
The community of Heidenrod stretches out over 19 districts in the forested hills of the moorland surrounding the town of Kemel. It’s no wonder that the area is home to many passionate hunters, and walls adorned with the antlers of red deer make for a familiar sight. 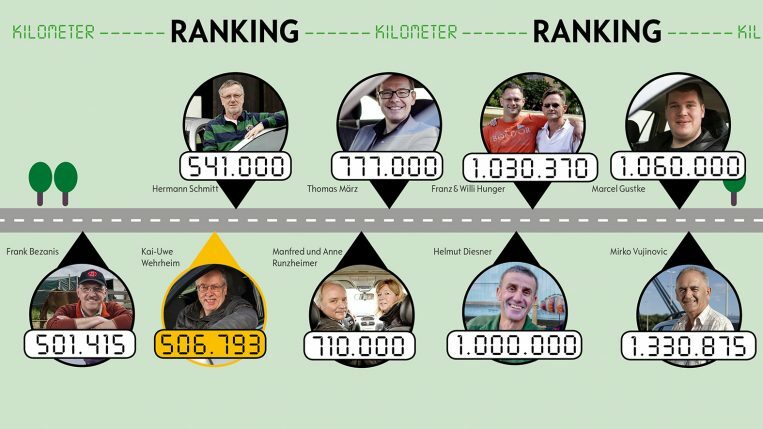 But Kai-Uwe Wehrheim’s greatest treasure is no hunting trophy; it’s a memento from his former car, a panel with an odometer boasting over 360,000 kilometers. 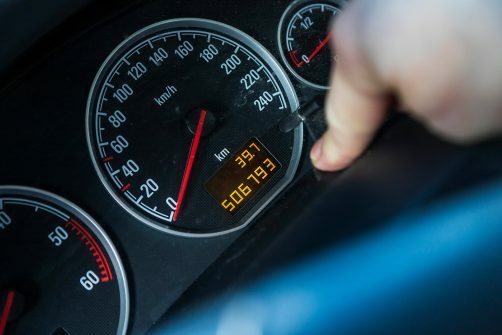 The Vectra’s odometer already boasts a solid 500,000 kilometers, a number that’s increasing by 3,000 or 4,000 kilometers with each passing month. and he always makes sure that it is filled up with high-quality fuel and lubricant. According to Wehrheim, that is the secret to vehicle longevity. 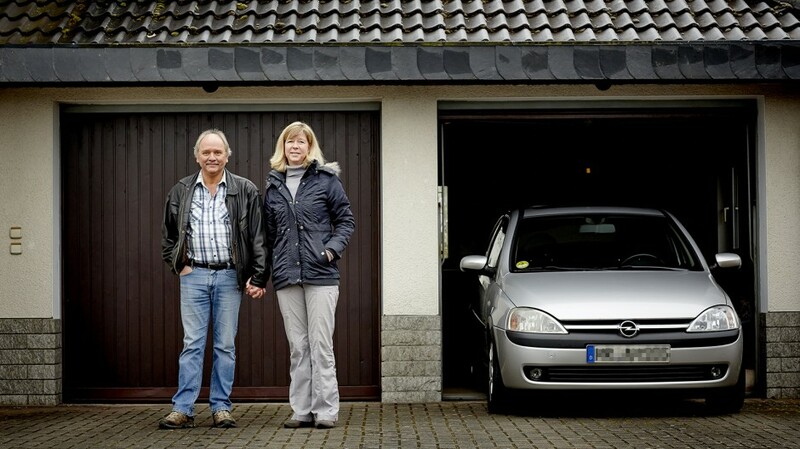 It was a tip given to him by the dealer who sold him his very first Opel, ‘Auto-Göttert,’ a favorite among customers in and around Heidenrod, thanks to its excellent service. There’s Opel the Reliable for you. That was back in 1984. Over the next 34 years, Kai-Uwe Wehrheim would drive only four cars – alongside the two Vectras were a Kadett D and a Kadett E. “My parents always drove an Opel,” he says. That’s the definition of brand loyalty. design, leading in aerodynamics, advanced in technology”, is what the press kit from back then says. The design innovations were manifold. In addition to an optional, electronically controlled four-speed automatic transmission, the Vectra was the first Opel passenger car to be available ex works with four-wheel drive. The luxurious Vectra V6, the first Opel model in its class to be offered with a six-cylinder engine, appeared in spring 1993. There were three generations (Vectra A, B and C) before production of the Insignia was discontinued in 2008. 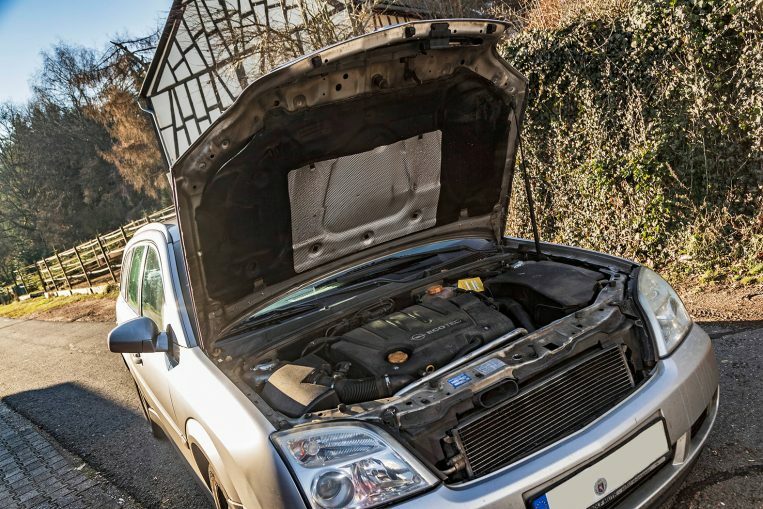 The Vectra 1.9 CDTI receives regular inspections at the service workshop. Opel the Reliable: Wehrheim, a network engineer, is always out and about in the Rhine-Main area and racks up 40,000 kilometers a year in business travel alone. Sometimes Kai-Uwe Wehrheim is inclined to take some major trips of his own, too. He has taken his Vectra along to Chamonix, France, as well as to Munich and Berlin, and each journey has been carefully and conscientiously documented in his logbook. 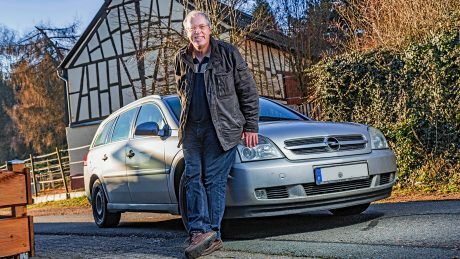 His Opel has never let him down, and not including wear parts, the exhaust pipe is the only component that he has ever had to replace – after 470,000 kilometers. “That sort of thing can happen,” says Wehrheim with a grin. But what if his faithful friend finally gives up the ghost one day? Wehrheim doesn’t relish the thought, but he has a plan should that day ever come to pass. The Insignia set to replace the king of kilometers has been quietly – and secretly – configured for when the time comes. Brand loyalty: Kai-Uwe Wehrheim has been quietly and secretly configuring his new Opel, an Insignia.